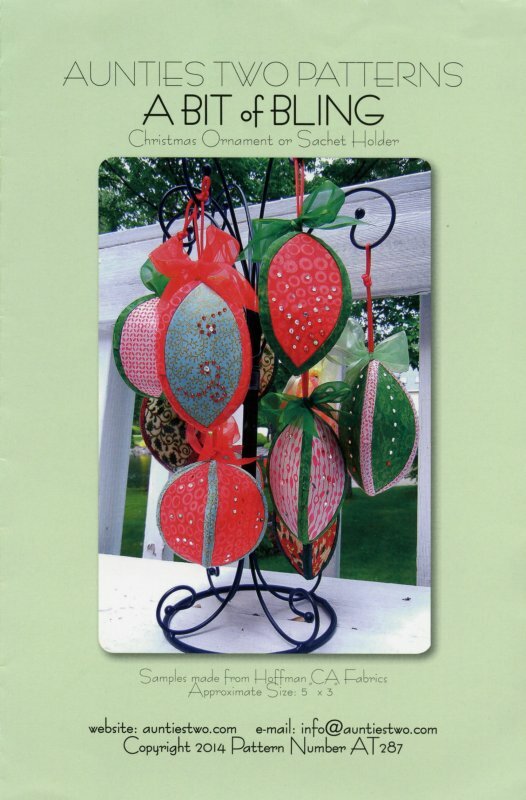 Sew three leaf shapes together to form a lovely ornament or sachet holder. Decorate with hot fix crystals. Great to use for a Christmas Holiday project. Finished size: 5" tall x 3" wide.